New 3600mAh battery extends the life of T-Mobile Samsung SideKick 4G by 2.4 times. 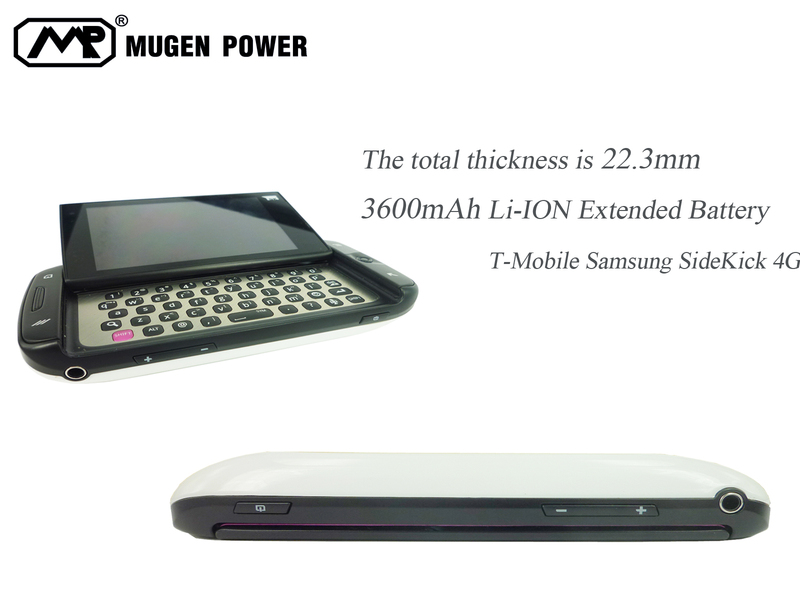 Designed to provide maximum mobile freedom, Mugen Power 3600mAh Lithium-Ion extended battery increases the lifetime of T-Mobile Samsung SideKick 4G by 2.4 times! Mugen Power Batteries (http://www.mugen-power-batteries.com) the manufacturer of high-capacity batteries for handheld devices, today announces the new HLI-T839XL Mugen Power 3600mAh Extended Battery for T-Mobile Samsung SideKick 4G which extends the time consumers can use this popular device. 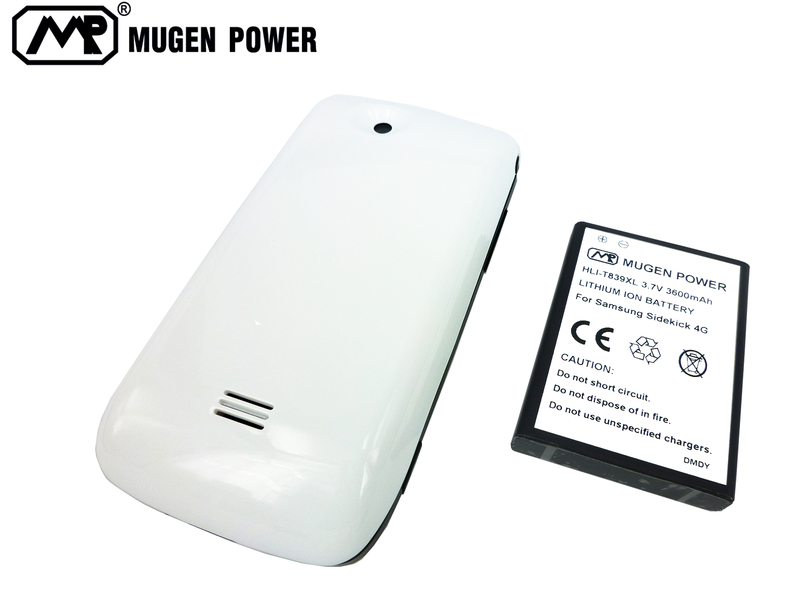 The battery is immediately available from Mugen Power Batteries with free shipping worldwide. Designed to provide maximum mobile freedom, Mugen Power 3600mAh (milliamp hour) Lithium-Ion battery extends the life of the T-Mobile Samsung SideKick 4G by 2.4 times delivering more power than the stock 1500mAh battery. This impressive battery performance allows consumers, especially those who are often on the move, to use the device longer. The new battery is fully compatible with the T-Mobile Samsung SideKick 4G and fits well into T-Mobile Samsung SideKick 4G. As well as delivering longer life, the new battery is also exceptionally reliable. Like other Mugen batteries, the Mugen 3600mAh Extended Battery for T-Mobile Samsung SideKick 4G has undergone vigorous QA testing to ensure the highest quality and lowest return rate. The battery is also in compliance with the CE requirements. "T-Mobile Samsung SideKick 4G owners are often reported to complain about short battery life of the device. We worked hard on this project and managed to fit additional 2100mAh capacity into that new battery. Our solution gives customers added battery life to stay connected longer without recharges and make more with the smartphone than ever before," says Nikolai Lebedovsky, marketing manager at eTrade Asia Ltd. NOTE FOR EDITORS: Mugen Power 3600mAh Extended Battery for T-Mobile Samsung SideKick 4G is available on request to editors of computer magazines and bloggers who will to write a review of the battery.